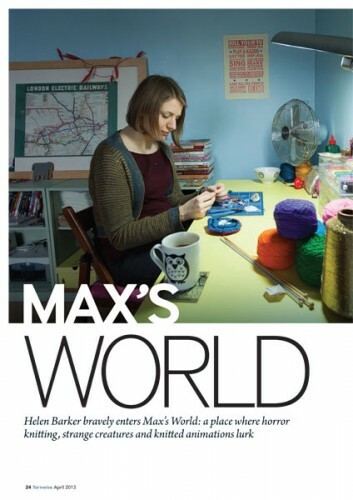 Max Alexander – Knitting Jewellery, Animation, Sculpture I started designing and making jewellery for knitters in May 2009. I love knitting and the designs sprang out of my desire to wear something wooly even when it was too warm for knitwear. 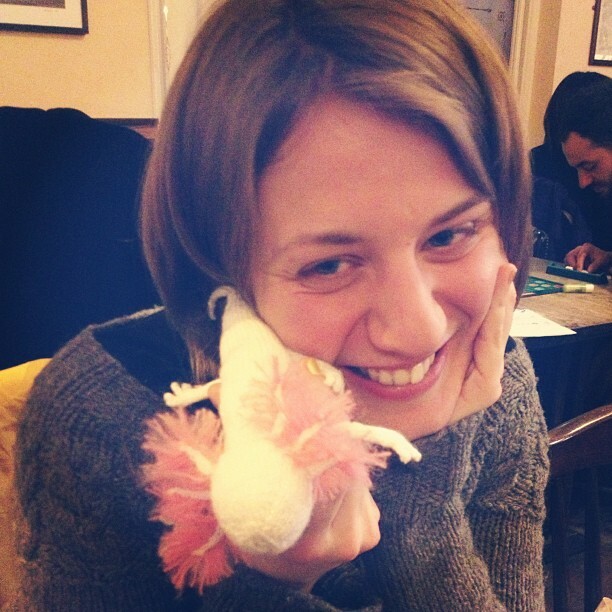 In 2011 I made the knitted knitting octopus. 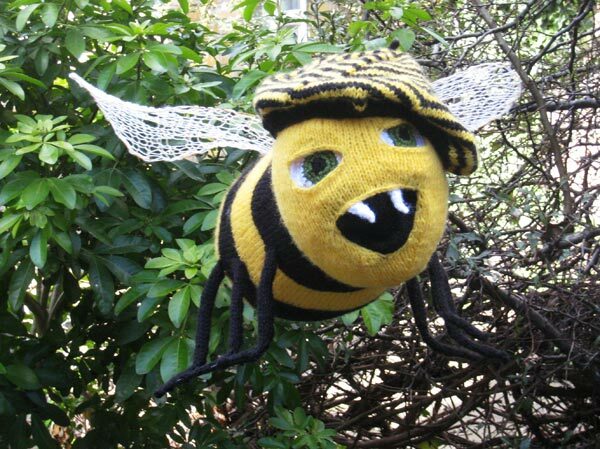 He was featured across many craft blogs and there were lots of requests for the pattern. 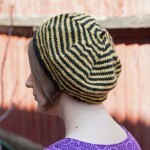 That was very popular and I have since been knitting and planning more patterns. I will be releasing lots more throughout 2013. It was really interesting to talk about my various projects but I haven’t been able to read it back yet in case I said something ludicrous…! 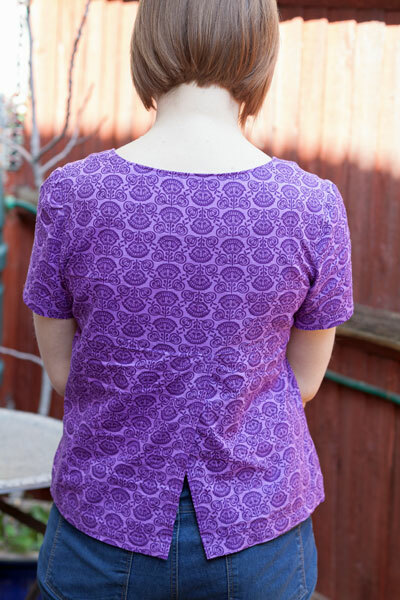 It’s been a while since I made any clothes with my sewing machine, it usually just gets used for repairs or quick cushions… But recently I’ve been thinking it’s time to sew some clothing, after all I can’t only wear knitwear! 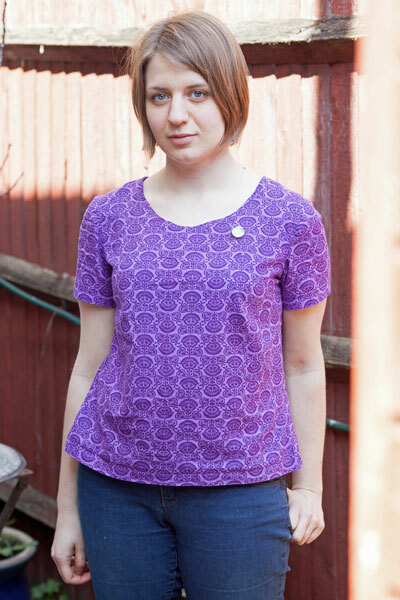 So I was finally spurred into action by the stylin’ designs from the new pattern company Sinbad & Sailor. 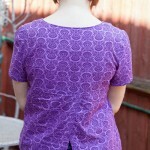 The Dove Fitted Tee really took my fancy as I never seem to have many interesting tops. Next, I have plans for projects from DIY Couture and The Colette Sewing Handbook, two books which I’ve had a little while but not used yet. 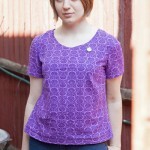 I also can’t wait for more Sinbad and Sailor patterns! 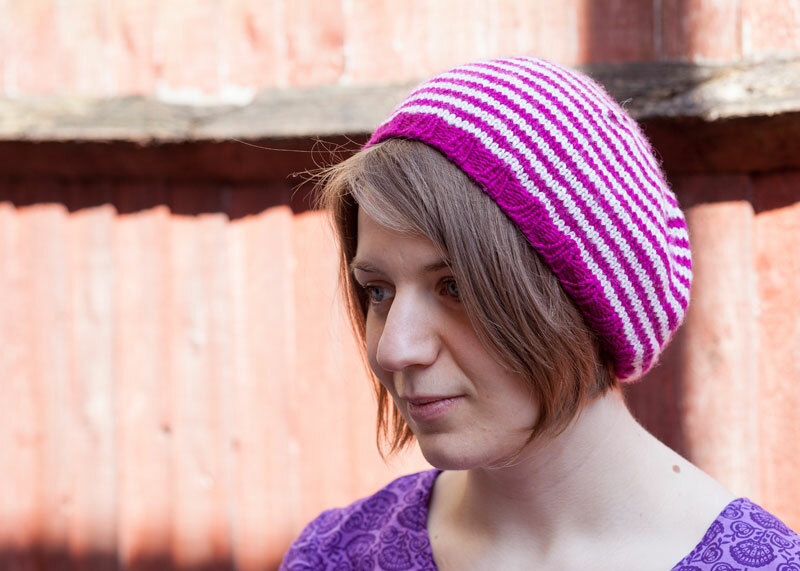 The pattern includes a tutorial for jogless stripes. S (M, L) To fit a head circumference of approx: 51 (56, 61) cm. 20 (22, 24) inches. Samples shown in size M on a 57cm head. 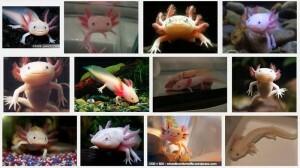 I’ve recently become quite obsessed by axolotls. I find there cute faces and human like limbs totally enchanting! 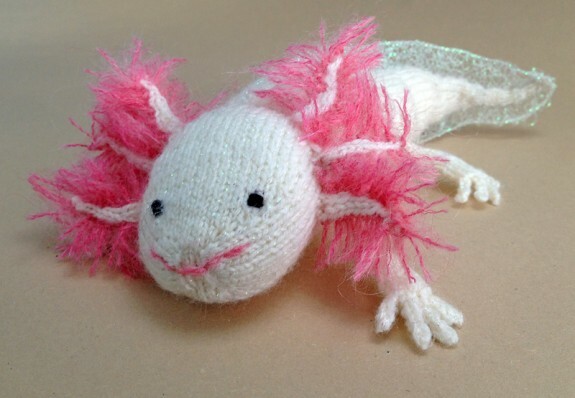 I found myself returning to the Google Image search for Axolotl’s over and over and as with most of my obsessions I had to make a knitted version. CC1 Bergere de France Lurex, Libellule, 650m, 25g. Iridescent thread. Small amount of black embroidery thread. The body of the axolotl is knitted holding the lurex thread and 4ply acrylic yarn together throughout to give it an underwater sheen. 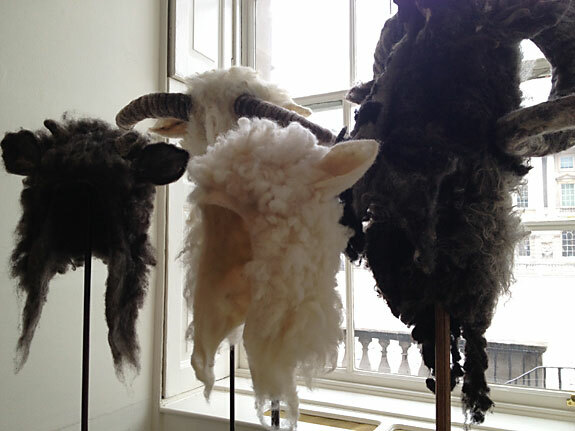 Today I went to see the Wool House exhibition at Somerset House. 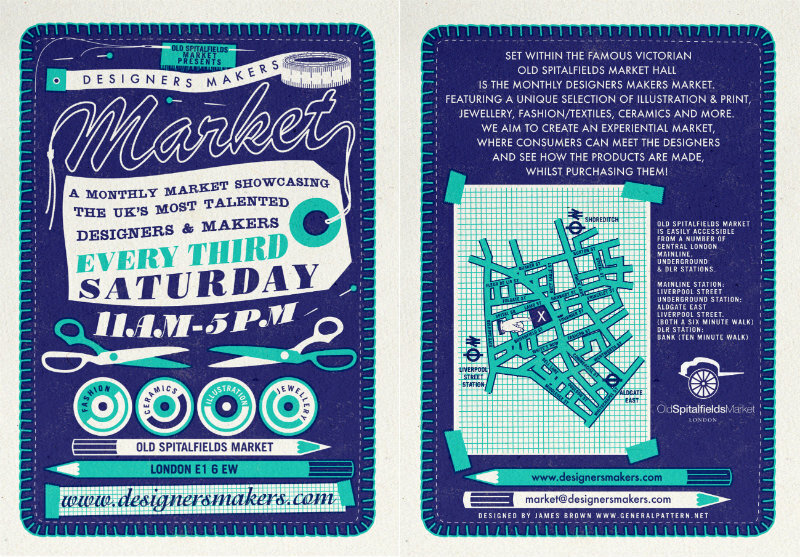 First I have to say that it’s a-mazing and if you can get to see it, do! 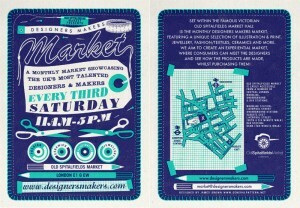 It’s only on until next Sunday 24th March. Also, you can sit in that chair, it is the cosiest thing ever. 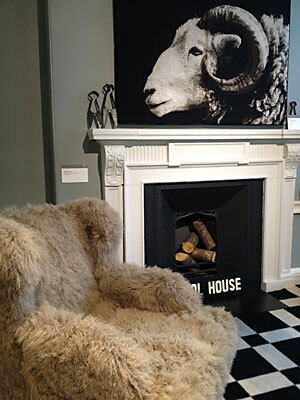 The main exhibition is 7 rooms furnished in wool by 7 different designers and then there are more rooms showcasing wool in fashion and a bit of art. There were also spinning and weaving demonstrations today which I got a bit hypnotised by. The first thing I came across were these sheep hats. They reminded me of the character of the Sheep Man in Haruki Murakami’s novel A Wild Sheep Chase who I was coincidentally thinking about yesterday even though I read the book a year or so ago. Last year I worked on a little knitted pig destined for fame! 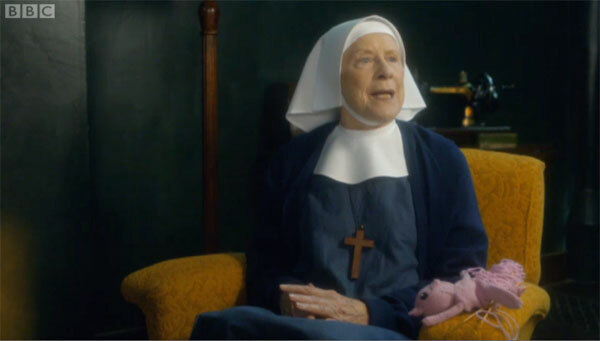 And now he’s been on TV being knitted by a nun. He appeared in a couple of episodes of ‘Call the Midwife’ the BBC One drama that’s been on at 8pm on Sundays for the last 8 weeks. The last episode was yesterday night but you can still see it on the BBC iPlayer for another week. The pig was meant to be Pinky or Perky from the 50’s TV show so I made up the pattern based on some pictures of them. Here are some screenshots from episodes 3 and 5 of my little piggy in action! I have recently become obsessed with the magical objects that are hexaflexagons. In fact they have been my main topic of conversation for the last month as anyone who’s seen me recently will have noticed… (sorry about that!). Hexaflexagons are traditionally made from strips of paper. 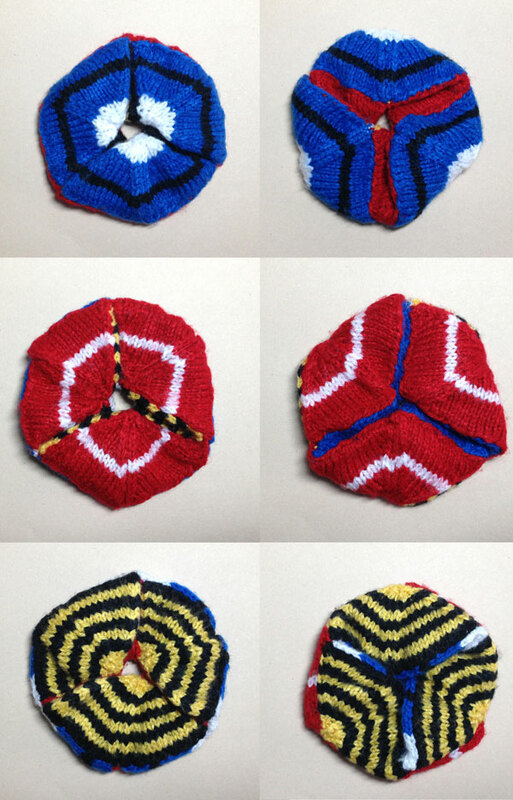 They are flat hexagons folded in such a way that they have more faces than you would expect. If you haven’t seen one before then I recommend watching these videos, they’ll blow your mind! 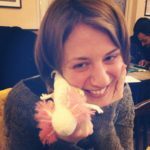 One of my goals for 2013 is to write at least one knitting pattern a month, although I had thought they’d all be animals in the vein of my knitting octopus, I couldn’t resist kicking off with one for a hexaflexagon. As I was designing and making a small one to play with I came up with the idea for a cowl version. It seemed appropriate to have one to wear as they’re on my mind so much! 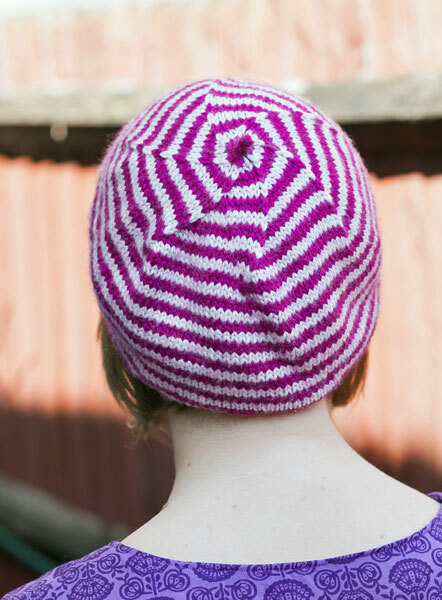 The pattern contains instructions for the mini hexaflexagon and the hexaflexacowl, you can see details over on ravelry or jump right in and buy it now for £3.50. Here’s a video of the mini hexaflexagon in action. I keep mine on my desk and flex it while I’m thinking/daydreaming! 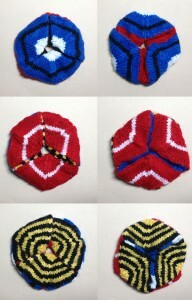 Knitted Hexaflexagon from Max Alexander on Vimeo. 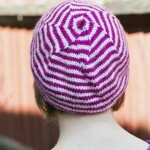 I hope you enjoy experimenting with hexaflexagons as much as I have! I’m excited to see what you will come up with. 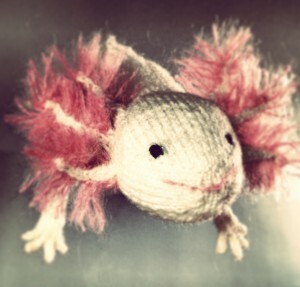 For now I’ll be leaving them alone and working on new patterns for crazy creatures. One last thing… HEXA FLEXA GIF!!! 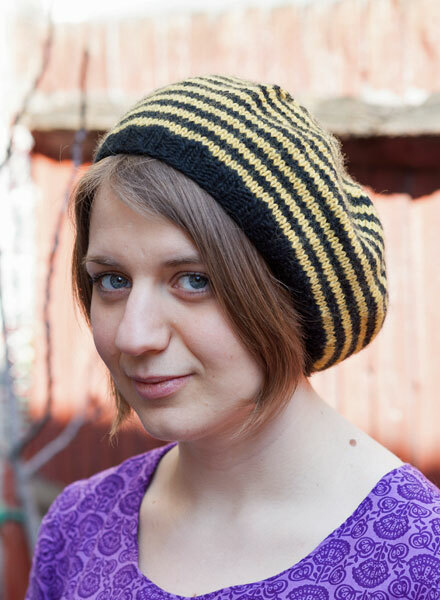 I was browsing ravelry last week and came across the My Year in Temperatures Scarf. It’s a pattern for a striped scarf, you knit one row every day in a colour related to the temperature. I really like the idea and have started mine already! 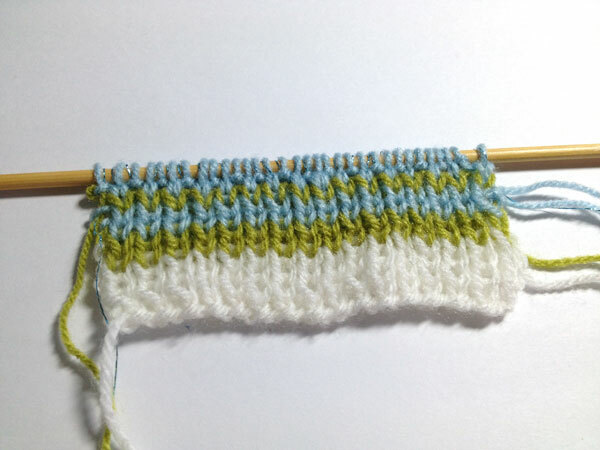 I’ve contemplated doing the year long Sky Scarf before but for whatever reason never got round to it. I was worried it would just be grey I think…! 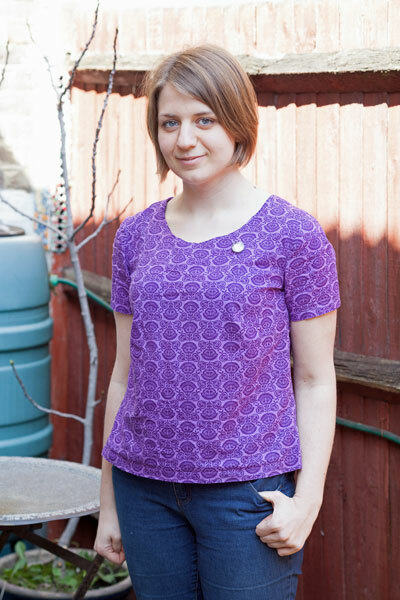 I’ve made a couple of modifications to this pattern, I’m knitting it in 1×1 rib as I prefer the look of it to garter stitch and will also add a thin sparkly blue thread for the days when it rains, hopefully getting the glitter out will cheer me up when it pours for a week! I suspect the mild climate in London will mean I don’t get to use the more extreme colours very often but it will be interesting to see what really happens. 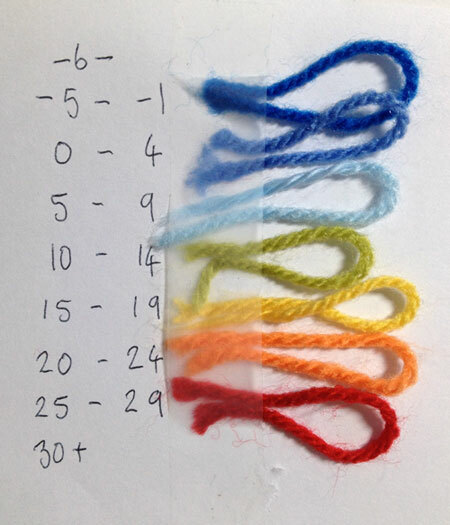 Here’s my colour chart (I haven’t got the high or low temp colours yet) and the first week of knitting. 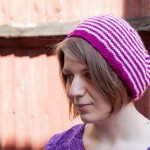 I’ll be updating my ravelry project page throughout the year and will post pics here too. 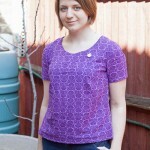 I received a very exciting e-mail at the end of last year from Becca of the Stitchy Wicket. 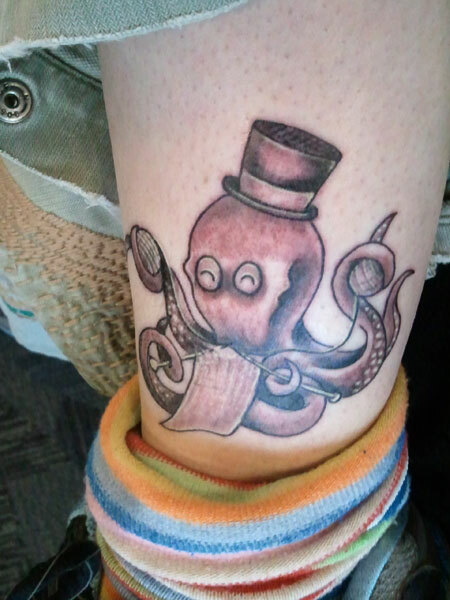 She wanted to let me know that my little Knitting Octopus had been the inspiration for her new tattoo! 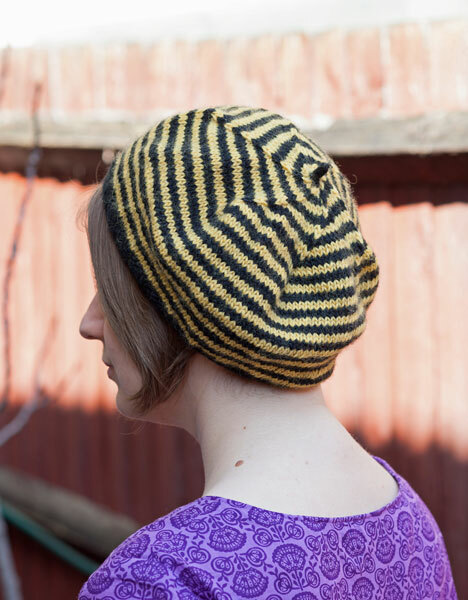 I’m really impressed by how my bit of knitting was translated into ink and as Becca says it makes a change from the usual wool and needles knitting tattoos. The artist was Loki at Sacred Heart Tattoo in Atlanta, GA (USA). 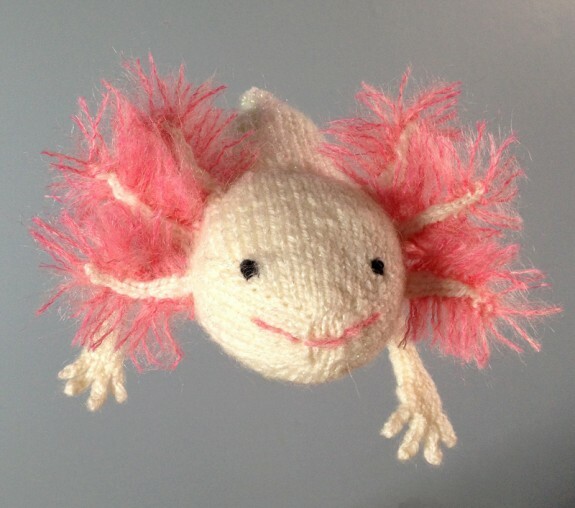 If my knitted creatures have inspired anyone else’s artworks I’d love to see them! Happy new year folks!